This business card mockup gives you a way to add your own design, with a liberal touch of realism! This mockup comes in two styles — one is a plastic transparent card, and the other is a “regular” design. You can replace the smart object with your own design, and have it show up in an embossed style (as you can see in our preview image). 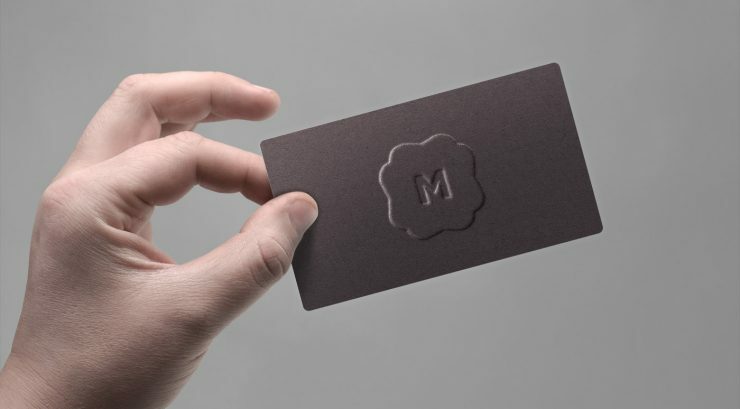 It’s simple to change the colour of the business card itself with a quick layer tweak that takes a few seconds. Business card mockups often lack a bit of realism, instead showing a fairly flat, rectangular design. This one breaks the mould, with plenty of depth and texture.